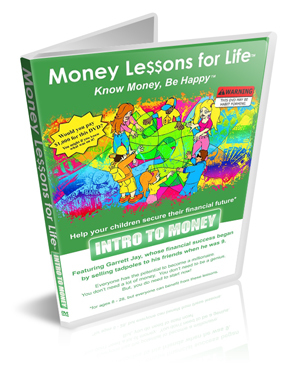 The Intro to Money DVD is packed with money lessons, real life situations, money terms and money tips. Over 60 minutes of money lessons are divided into episodes that you can watch one at a time or take a break at the midpoint. A bonus insert includes Money Activities and a powerful example of what can happen when you start saving early. Background information for the Host and Founder of Money Lessons for Life.